Boasting bold and authentic flavours sourced from around the world, Ripe Vapes prefer to introduce their range of sophisticated flavours as if talking with a wine connoisseur. And with good reason: their high-grade gradients set them in a class of premium liquid suppliers that are no stranger to winning international juice awards. Look no further than Redjuice if you're looking to purchase some of Ripe Vapes' most popular mixes, with flavours that are guaranteed to knock your socks off. Take the VCT (Vanilla Custard Tobacco) blend, which - and we're still talking fine wines here - has a sweet front before passing into a delightfully rich tobacco finish. Or allow the unique combination of their Pear Almond juice to conjure you into a marzipan dream with fresh, light hints of sunny days and sandy beaches. Of course, if you're after something a bit sweeter, Strawberry CrÃ¨me Brulee is both delectably sweet but also light and fresh. You'll find the rest of their dazzling array in 50ml short fill to prolong your enjoyment. Redjuice knows well that shopping for Ripe Vapes E-Liquid means shopping for quality; that's why ordering on Redjuice is the perfect combination - you'll get your premium liquid for a competitive price, and it'll wing its way to your vape in extra-quick time, with a customer service team waiting to help should you have any queries. Pear Almond by Ripe Vapes eLiquid | 50ml Short Fill - The mixologists at Ripe Vapes are no strangers to seductive flavour profiles, but Pear Almond absolutely takes the cake. Combining a ripe pear flavour with an intoxicating note of sweet almond, this is one e-liquid that's very difficult to put down. Honeysuckle Apple Crisp by Ripe Vapes eLiquid | 50ml Short Fill - Capturing the flavour of cooked, spiced apple and honeysuckle topped with a brown sugar crumble, Honeysuckle Apple Crisp by Ripe Vapes is every great autumn dessert you've ever had in a single little bottle. 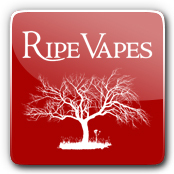 VCT (Vanilla Custard Tobacco) by Ripe Vapes eLiquid | 50ml Short Fill - Do you ever find yourself thinking that sweetened tobacco e-liquid is a concept that's better in theory than in practice? That's only because you've never tried VCT by Ripe Vapes yet. When vanilla, custard and tobacco combine, taste buds get excited. Clove by Ripe Vapes eLiquid | 50ml Short Fill - If you're missing the clove cigarettes that you occaisonally purchased when you were a smoker, Clove by Ripe Vapes is here to rescue you from the doldrums. Key Lime Cookie by Ripe Vapes eLiquid | 50ml Short Fill - An absolute legend in the United States, Key Lime Cookie by Ripe Vapes pairs a delectable key lime flavour with a buttery shortbread cookie base. Monkey Snack by Ripe Vapes eLiquid | 50ml Short Fill - Do you love a great banana e-liquid? If you do, you're probably wondering why no one has thought to pair banana and peanut butter in a single e-liquid. Wonder no longer because Monkey Snack by Ripe Vapes is here! Strawberry Creme Brulee by Ripe Vapes eLiquid | 50ml Short Fill - Strawberry combined with custard, poured into a ramekin and lightly torched until the sugar begins to turn brown -- what else could any confirmed foodie possibly want? Strawberry Crème Brulee by Ripe Vapes is the last strawberry e-liquid you'll ever need.